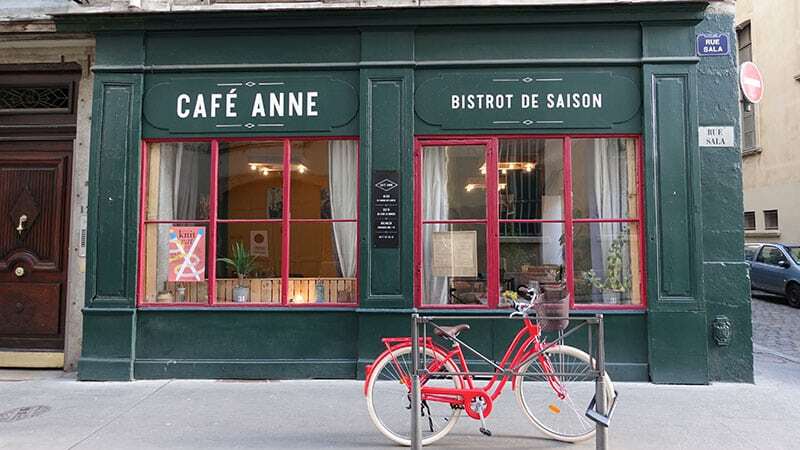 Anne and Antoine opened Café Anne in Lyon’s 2ndarrondissement after numerous years of running a food truck called “Yummy Yummy Truck.” They are proud to offer a menu at Café Anne that remains true to their original vision and style of cooking: fresh, seasonal, simple yet creative. Anne runs the show in the kitchen while Antoine welcomes guests as they walk into their restaurant. 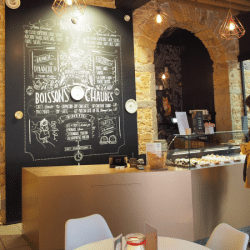 When looking for a restaurant in Lyon, the options can be overwhelming. 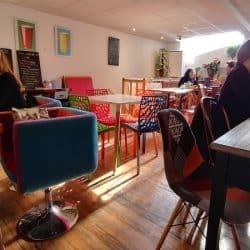 There are just so many restaurants to choose from depending on the type of cuisine, opening hours, and whether reservations are possible and/or recommended. Personally, a small kitchen with a chef who cooks with passion is where I want to eat. 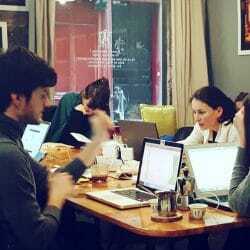 Therefore, cafés with a good neighborhood vibe are spots that I particularly look for and enjoy. When going out for lunch, I like a meal that is reasonably priced and under 20€. 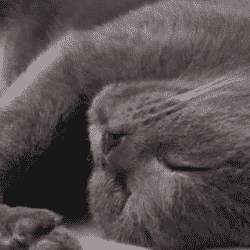 Lunch time is an important part of the day during which French people typically spend 1.5 – 2 hours to eat or relax. How one chooses to spend this time depends largely on the quality of the food and value offered by restaurants in the vicinity of the workplace or home. 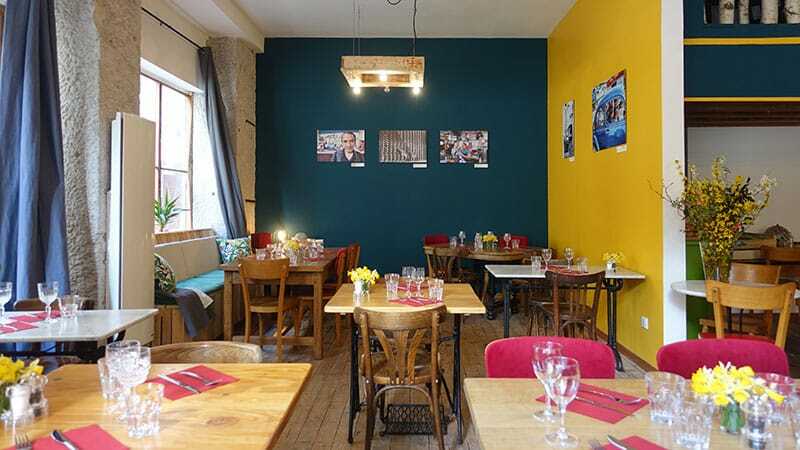 Café Anne in Lyon is a gem I recently discovered as an ideal spot for hungry and curious customers looking for a satisfying meal and relaxing time alone or in good company. 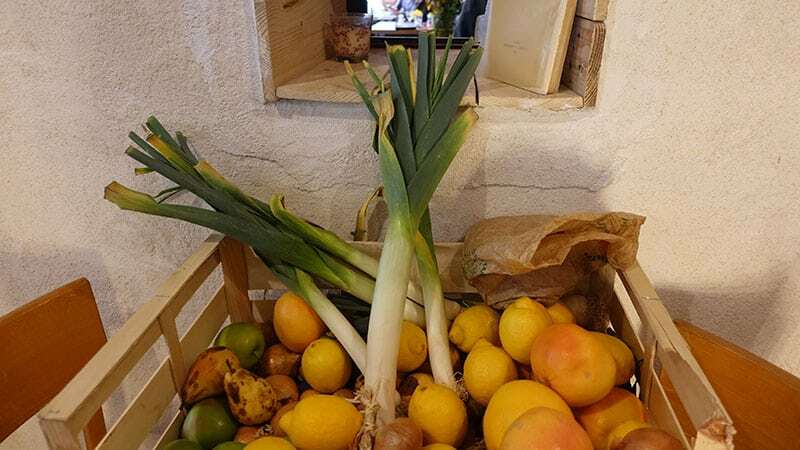 Café Anne embraces fresh local products and regularly changes the menu by creating appetizing dishes depending on the seasonality of the produce. 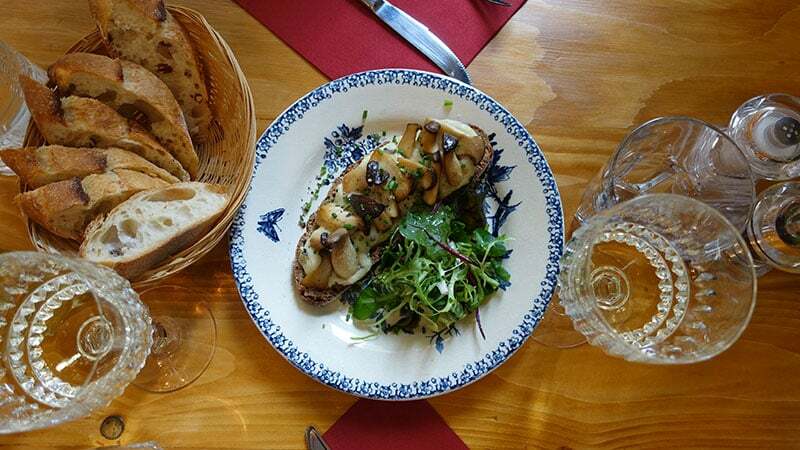 Locally sourced food doesn’t break the bank in Lyon and it’s also flavorful and good for the soul. Enjoy Café Anne for lunch, dinner or a weekend brunch. Whether you are having a lazy weekend, catching up with friends, or celebrating a birthday, Café Anne in Lyon is open from Tuesday to Sunday. Café Anne in Lyon is located at the corner of rue Sala and rue Tony Trollet, one block south of Place Bellecour, in the 2nd arrondissement in Lyon. Situated on a street that usually doesn’t get much foot traffic, Café Anne is a landmark in the neighborhood for both locals and passerby due to its striking forest green storefront and red window frame. If you walk by early enough in the morning, you can see the charming red bike parked right in front of the restaurant. The restaurant interior is welcoming with a country-style feeling. The brightly painted walls and wooden table and chairs create a warm and cozy atmosphere for patrons. Artwork from local artists is also displayed throughout the café which gives it an additionally nice local touch. Phone: 04 37 57 85 43. 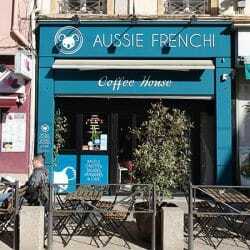 A café opened in Valmy area by two good friends who met in Australia. Grab a coffee and get to work!